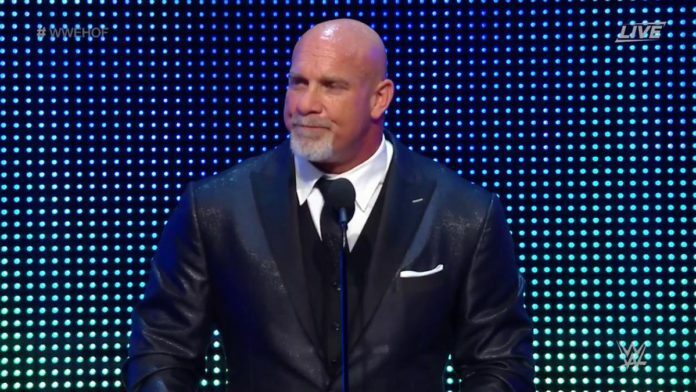 Bill Goldberg was the headline inductee for this year’s WWE Hall of Fame class. By the time Goldberg gave his induction speech, many of the WWE Superstars had already left the arena. The ceremony lasts 3+ hours during WWE’s busiest weekend of the year. Goldberg reveals he spoke to Vince McMahon about the need to make changes to the event’s formt. The night after WrestleMania, Goldberg addressed the WWE Universe as a Hall of Famer. He thanked everyone for supporting him during his latest WWE run. He was very grateful that his son got a chance to see him be ‘Goldberg’ in person. Goldberg also revealed that it was very difficult for him to be backstage at Raw, because he saw all the Superstars going out and doing what he loves to do. He is very competitive, and still has the itch to compete under the right circumstances. When asked about the possibility of wrestling The Undertaker, Goldberg was very specific with the wording of his answer.